The tachi is mainly used katate (one hand), often when riding a horse. The tachi was used to hit the opponent so that he would lose his balance. Sometimes the violence of the hit would create a reflex that would open the fingers and make him drop the weapon. This is why there is a rope on the tsuka kashira (top of the hilt) to keep it tied to the wrist. This device also existed on the saber used by the 18th century riders in Europe. 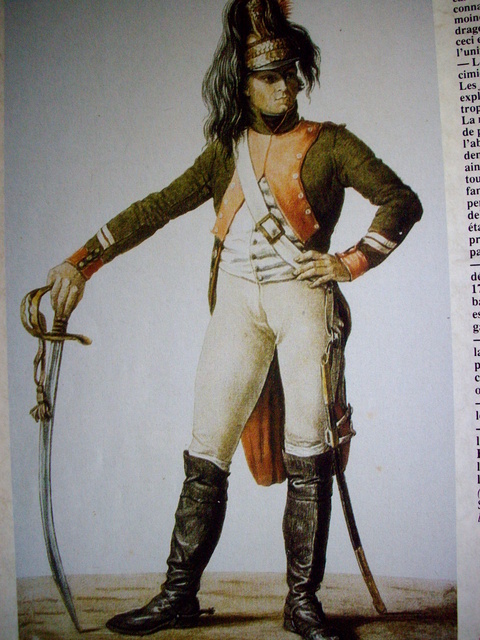 The picture displays a “chasseur” from the 5th Dragon (model 1790). As always, the same problem comes with the same solution.